Quick history lesson: The Solomon Islands were named by a Spanish explorer who thought he’d “discovered” the source of the biblical king’s treasure in 1568 on an archipelago where people had lived for millennia. The mother lode turned out to be more of a molehill than a mountain (though there are still active gold mines there), and these days their fortunes are associated with a rather humbler metal. Ironbottom Sound is the name of a hallowed stretch of sea between the capital city of Honiara and the islands to the north, where legions of sailors, soldiers, and airmen lost their lives during the Battle of Guadalcanal. There are over fifty wrecks, both Allied and Japanese–trucks and bulldozers, planes, ships, barges, even a submarine or two. When the war was finally over the exit strategy involved driving a lot of equipment into the water rather than pay the shipping to get it home. That legacy persists into the present as a wonderland of wreck-diving, a rich time capsule for WWII buffs, and a place of remembrance for the people who come from all over the world to pay their respects. Rusty iron is the most mundane thing about the islands though, which are situated in the far east corner of the Coral Triangle. It’s not just the wrecks that draw divers from around the world. There is a kaleidoscope, a multitude, a phantasmagoria of wildlife–from the tiniest of nudibranchs to the lumbering Napoleon wrasse, all built upon the astonishing architecture of one of the most diverse coral populations in the world. There are a lot of ways to dive the Solomons Islands, with plenty of world-class sites just off the beaches of Honiara, as well as inter-island day trips by tender boats which is the more common method in Munda. There are even a couple of liveaboards that explore some of the more distant islands…but that’s a story for another time. Way out in the Western Province, travel is mainly by boat between scores of tropical islets. I stopped counting after thirty. For adventure, adrenaline, and sheer giddy joy, there’s nothing like skipping across the waves at high speeds. That may not be for everyone, and for those that prefer a more direct route, Munda has its own airport with daily flights from Honiara. A convenient bonus is its location within an easy walking distance of the accommodations. Nestled among the bungalows at the Agnes Gateway Hotel, Dive Munda’s shop stocks a selection of ScubaPro and Suunto rental gear. This is an option to strongly consider as there’s a 16kg baggage allowance on domestic flights. I elected to bring only my mask, snorkel, boots, and fins, leaving everything else in the capital. In retrospect, I should have brought my dive computer, as my rental was very conservative–almost sending me into deco while my dive buddies had no such issue. Weeks before I arrived, Dive Munda emailed me a questionnaire to find out about my experience, cert level, and DAN coverage, so all I had to do was present my c-cards for verification. My dive guide was a young woman named Zaza, who at 19 is the very first female scuba instructor trained in the Solomon Islands. She gave me a detailed brief on what I kind of diving I could expect and then helped me pick some adventures from a huge map of over thirty sites that was hand-painted on the wall. Most sites are between 10 and 45 minutes from the shop, and each day an amiable pilot named Sunga would ferry us out in a SIDE dive boat. 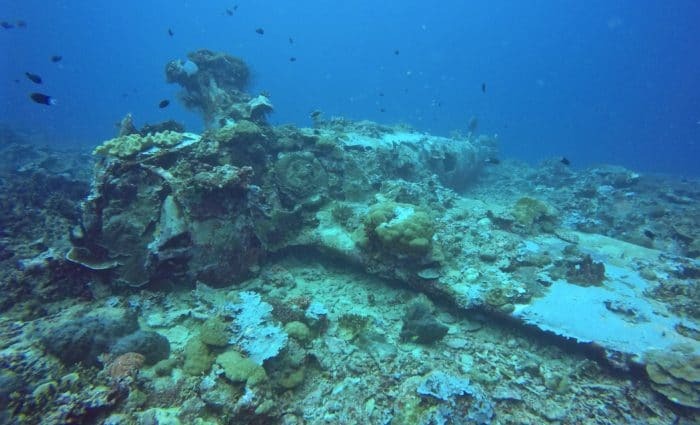 For our first day, I chose Alice in Wonderland which turned out to feature not only a weird landscape of massive plate corals but also the wreck of an F4F-4 Wildcat (a US fighter plane flown in WWII). Less than a surface interval away from the first site was another wreck, a Japanese freighter called the Kashi Maru. She lies canted at a dramatic 45-degree angle from the slope that dips to the bottom of the harbor. A 10 meter swim from the beach entry and you descend through a wavering brackish layer, emerging from the halocline into the clearer water around the ship. 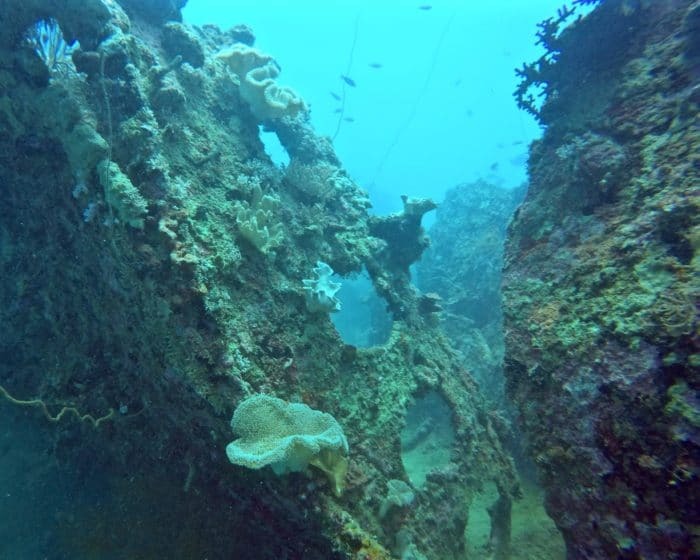 The Kashi Maru is a thriving artificial reef and an underwater museum of WWII artifacts in situ. Before returning us to the hotel for some hard-earned lunch, Sunga took us to one final island where Zaza led us ashore for a close-up look. Squatting on the jungle floor sat two giant anti-aircraft guns barely concealed by the mangroves and a shoreline littered with antique Coca-Cola bottles. The rest of the day was wiled away in the loving embrace of a waterfront hammock. The following morning dawned blustery and dark, and the rain was spitting lightly as we slipped below the surface at Shark Point. We were not disappointed, spotting a moray eel, and a bronze whaler (also known as the copper shark), as well as a very curious blacktip reef shark and a school of yellowfin barracuda. Back in the boat, the sky was clearing and we suddenly found ourselves surrounded by a pod of spinner dolphins. Sunga kept us apace, and it wasn’t long before one of them came over to ride our bow wave! After our final dive at Munda Bar, we visited a place called Skull Island. Weighing anchor in the shallows, Sunga picked a path around coral bommies and tidal flats until we stood on a picture-perfect tropical island. A clearing in the interior framed a stone altar, and a pile of large coral chunks fashioned into a sort of platform. 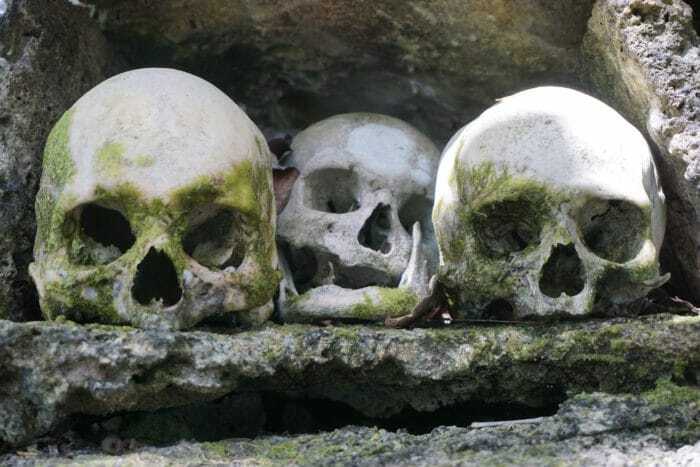 In the nooks and crannies along the top were tucked the revered skulls of former chiefs of the area, the last of which was placed in the 1930s. I stayed at the Agnes Gateway Hotel which is mainly for divers. It’s comfortable and clean, but the decor is a little dated, and the creature comforts are fairly basic. WiFi is scarce and spotty, and the food from the restaurant is simple but hearty. If you crave a true vacation, hidden away from the cares of the world, then this is the place for you. The Agnes is the alpha and omega of commercial dining on the island, but if you’re up for a night-time adventure, the island of Lola is within boating distance and hosts another resort and restaurant, the Zipolo Habu, which offers great food and strong cocktails. The diving is incredible — everything from macro to big pelagics, with plenty of wrecks and reefs to explore. These dives are worth coming to the end of the world to see, and I recommend a long stay if you want to get more than just a taste. Far from the demands of your daily routine, saturate your gills and befriend some fish.  If you prefer your diving tank-free, check out their savvy freediving options. The Solomon Islands are a relatively quick flight from Australia, but Munda is in the distant Western Province, reachable only via domestic flights. I consider the distance part of the charm of the destination, a chance to get to know a place and people I could scarcely imagine before. Though Pidgin is the mode among locals (who may also speak any of sixty to seventy other indigenous languages), English is the official language of the Solomon Islands. Dive Munda offers dives, side trips, and rental gear at competitive prices. Their staff is professional and dedicated, the reefs are in great shape, and the service is excellent. They go above and beyond in their mission to take great care of you. They also offer SSI training and certifications, which you should expect to set you back a bit more than they would at home. If you’re planning a long visit, it’s worth noting that if you buy five days of diving, the sixth is free. The Port Charles marina is home to the Tulagi Dive facility, and it’s right in the center of town. 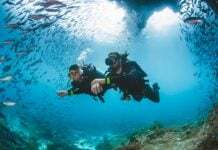 In addition to the usual training, rentals, and guided dives, they also service equipment, so if you plan on an extended stay or find yourself far from home with a problematic piece of gear, all is not lost. They’re also experienced with technical diving, so if you have ambitious plans contact them early and they’ll help you set it up. The guys at Tulagi Dive took me on a total of five dives over the course of three days, a taster flight of Japanese WWII wrecks. The Kinugawa Maru, Hirokawa Maru, and Kyusyu Maru are transport ships that range from an area known as Bonegi. They sit at varying angles to the beach, but all feature some very shallow areas that descend to between 20 to 40 meters as you make your way along the boat. On the final day, we visited the I-1 submarine where we found a ton of interesting nudibranchs on the safety stop after we explored the wreck. Luckily, there are several hotels within easy distance of the shop, including the Mendana, which is right next to the marina and within walking distance of the local market, national museum, and art co-op. The Honiara Hotel is a bit further away but boasts extensive grounds and fanciful decor, as well as long-term apartments if you plan to stay awhile. If you’ve got money to burn, consider the Coral Sea Resort for the finest dining and a variety of modern rooms, including a row of stand-alone bungalows with a private hot tub on every porch. You are in luck if you love wreck diving? It doesn’t get much better than Honiara. Most of the sites are accessible from the shore, though the trek along the Prince Philip Highway can take anywhere from twenty minutes to over an hour depending on the destination. For wrecks farther afield, there are day trips by boat across the Sound to the island of Tulagi. 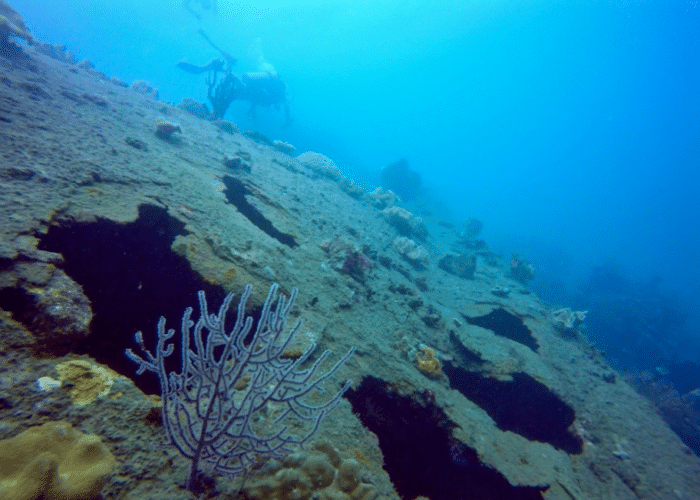 The viz is clear and the water’s warm, and the WWII era ships, once instruments of war and destruction, are now home to a huge variety of fish and coral. Dives with Tulagi are very reasonably priced and include surface interval snacks and kastom fees. 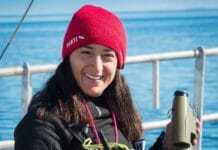 The dive guides are friendly and provide good background information about the sites. Many of these dives are in deep water or around 75-year-old wrecks, so they’re best attempted by confident divers with a fair amount of experience. 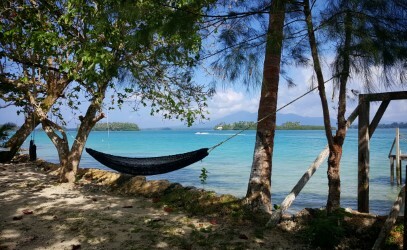 If you’re a WWII enthusiast or a big fan of warm water and abundant coral, start planning a visit to the Solomon Islands. With destinations just minutes from an international airport, as well remote oases of fantastic diving, there’s something for everyone. The people are friendly and the scenery is everything you could want in a tropical island paradise. Welkam to the hapi isles! 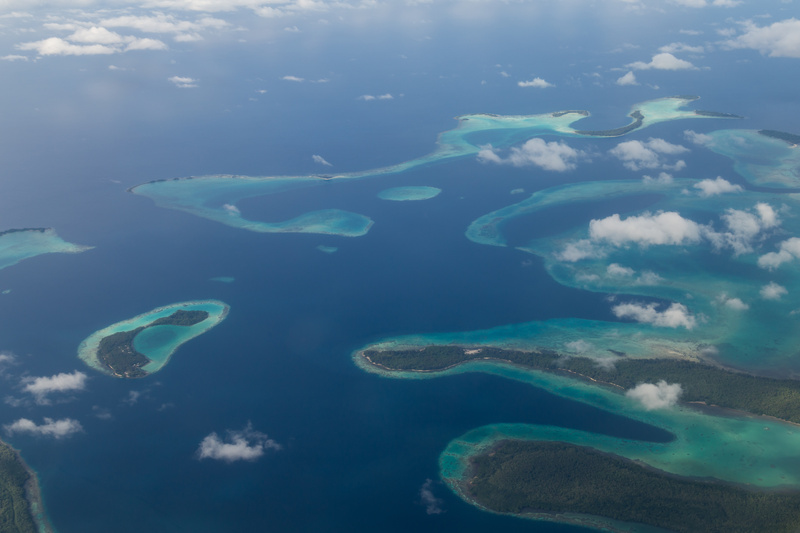 Though you could probably cruise to the Solomon Islands from Vanuatu (it’s a popular yachting destination), you’ll probably opt to fly. You’ve got five options: Solomon Airlines, Fiji Airways, Air Vanuatu, Air Niugini, and Virgin Australia. Connecting flights pass through either Brisbane or Nadi. 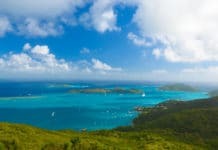 If you plan to visit the Western province, or some of the other distant islands be sure to factor in domestic airfare. Solomon Airlines serves around twenty destinations from Honiara to Munda and Gizo. There are two seasons in the islands–rainy and (relatively) dry. From February to May and September to November, expect more than just light showers. It’s drier between the months of December to February and June to September, but it rained plenty during my visit in August. There didn’t seem to be much effect on the viz, and it’s not like you can get wetter in the rain than under thirty meters of ocean. Pricing for flights out of Brisbane are pretty steady year-round, but if you’re coming from LAX, you’ll see a spike between December and March, with a similar bump on flights from London. Most transactions in the Solomon Islands are in Solomon Island Dollars (SBD). An interesting note on Solomon Island money — they still manufacture and use traditional shell money. Used mostly as a ceremonial currency for things like marriage contracts and debts of honor, its value is calculated by the beauty and rarity of the colored shell disks. Almost anywhere crafts are sold you can find beautiful examples available for purchase, but Art Gallery in Honiara has some real gallery-quality pieces. My first dinner in the Solomon Islands was a fantastic celebratory buffet of local foods On Munda your options are basically the simple fare from the house restaurant at the Agnes, or if you’re willing to hire a boat and driver for the evening, you can take a field trip to Lola island for a fancy dinner and cocktails at the Zipolo Habu. Honiara is an entirely different story. In addition to the Hakubai Japanese restaurant and popular Wednesday night buffet at the Solomon Kintana Mendana, there are three restaurants at the Honiara Hotel. You can get plenty of local delicacies like roasted taro and whole fish, but if you’re feeling adventurous or homesick there’s Chinese food, French, healthy fusion (check out the Lime Lounge), and countless other options. A word to the hungry: take advantage of the local fruit. It’s never sweeter or juicier than fresh on a tropical island. In the Western province, go with SIDE Dive Munda. They’ve got good rates, excellent staff, and quality training available. And with over forty sites to visit, you’ll find something new and exciting on every dive. Out of Honiara, your best bet is Tulagi Dive. By boat or by truck, they’ll guide you all around Iron Bottom Sound. Leave no wreck unexplored: from recreational to tech diving, they can hook you up. Finally, no trip to the ends of the earth would be complete without a stint aboard one of the two excellent liveaboard boats that cruise those hard-to-reach outer islands. Stay tuned for a review of our adventures aboard the SIDE MV Taka, or check out Bilikiki Cruises for other options. 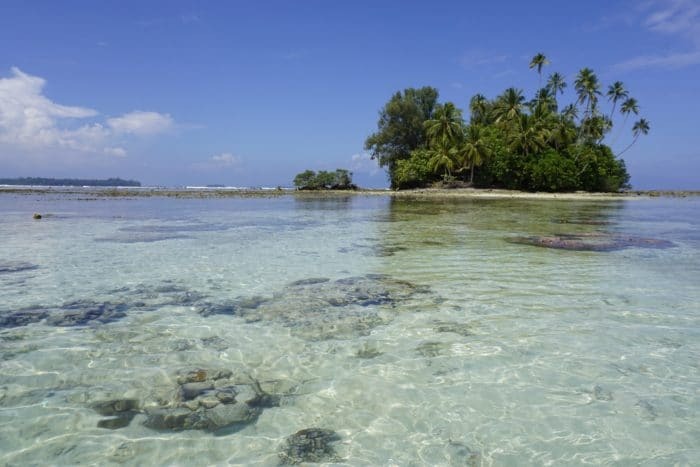 You can find out more about the Solomon Islands and how to book by visiting their website – www.visitsolomons.com.sb. With such a wealth of world-class diving right offshore, you don't have choose between quality and quantity. If you like sleek sharks, thriving coral, or historic shipwrecks there's an adventure just waiting for you in the Solomon Islands. Bring your fins and prepare to get hapi.